After Saffron's parents separate and divorce, her father brings her to England, where she adapts well and is happy. 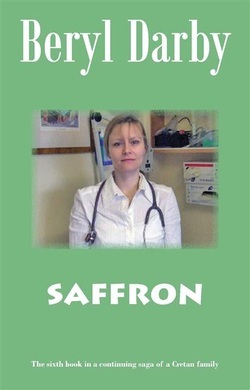 She achieves her childhood ambition to become a doctor. She falls deeply in love, only to be badly hurt when her hopes for a long term relationship are cruelly shattered. When she does marry, she finds she has made the biggest mistake of her life.Over the years she has wished to be reunited with her American family and when she finally contacts them it is with an unexpected and delightful result. "A remarkable series of books. I have read each book three times." "One of the best family sagas I have ever read. Please keep writing about this family."